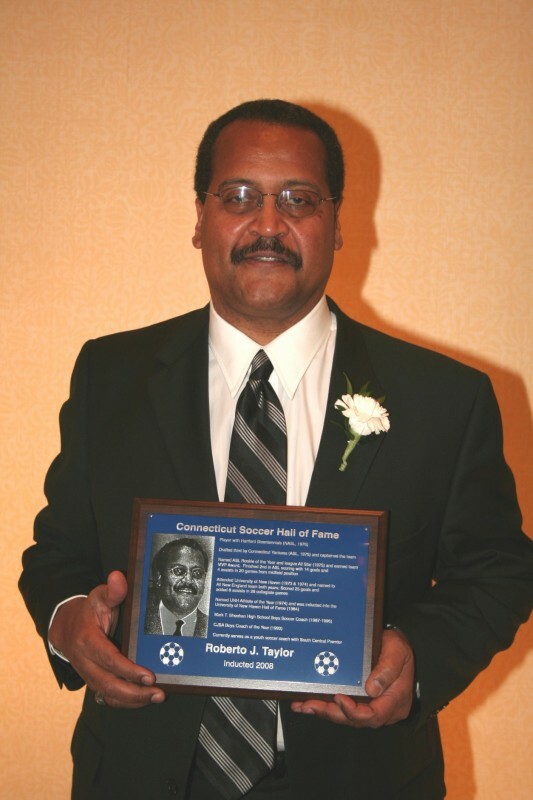 US Youth Under-20 National Team member (1979, 1980 & 1981); Played in CONCACAF Youth World Cup in Australia (1981); Signed with Philadelphia Fever in MISL (1981) and Charlotte Gold of United Soccer League (1982); Reached NCAA Division II Final Four with Southern Connecticut State College and named to New England Honorable Mention Team (1980); Member of Region 1 Olympic Development Program Team and played in U.S. Sports Festival in Colorado Springs, Colorado (1977, 1978, 1979); Played for RHAM High School (1976-1979) and won state championship in 1977; All State & All New England (1977 & 1978), Parade Magazine and Dr. Pepper All American (1979); Member of Connecticut State Team (1977, 1978); Played for Mansfield SC, Glastonbury SC, and Manchester SC youth teams. 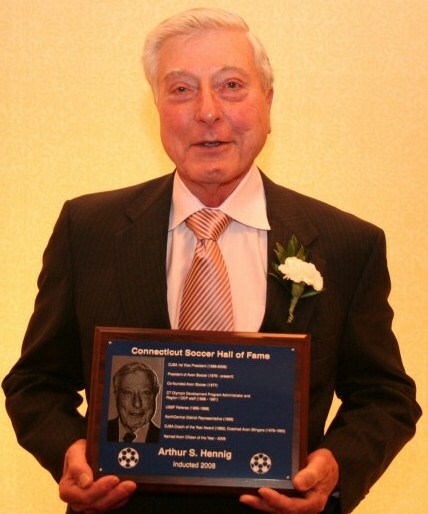 Art is being recognized for 30 years of commitment and service to soccer in Connecticut. He has been a dedicated coach, referee, and administrator during this time. 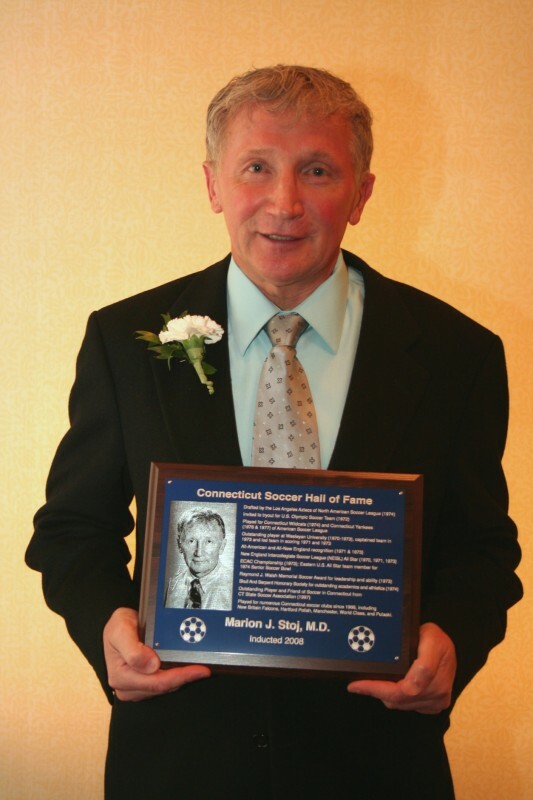 CJSA 1st Vice President (1998-2008); President of Avon Soccer (1979 - present); Co-founded Avon Soccer (1977); CT Olympic Development Program Administrator and Region I ODP staff (1988 - 1991); USSF Referee (1985-1988); NorthCentral District Representative (1998); CJSA Coach of the Year Award (1983); Coached Avon Stingers (1978-1990). Played for New York/New Jersey Metrostars of Major League Soccer (1996); Two-time USISL All Star as member of Connecticut Wolves and New York Fever (1992-1995); U.S. National Team member for 1987 Pan American Games; Olympic Festival goal medalist for South Team (1987); Played for Dallas Sidekicks and won MISL title (1986-1987); First round draft pick in both 1986 MISL (Dallas) and APSL (Canton Invaders) drafts; Led powerful NCAA Division I Long Island University team (1982-1985) and was twice named to All American teams (1983 & 1985); Attended Norwalk High School (1978-1981) and earned All State recognition (1980 & 1981) and was a 3-time All FCIAC honoree; Member of Connecticut U16 and U17 ODP teams (1979 & 1980); Won U14 CJSA State Cup with Norwalk Ahepa (1977). 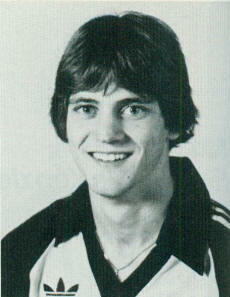 Member of United States Under-23 National Team (1983-1984) and played in 1983 Pan American Games in Venezuela; Gold medal winner for Eastern Regional Team at National Sports Festival (1981 & 1982); Played 4 seasons in Major Indoor Soccer League with Pittsburgh Spirit and New York Express; Earned MISL Rookie of the Year Award with Pittsburgh (1983-1984 season); 4-year varsity starter at Yale University (1979-1982); Yale’s 2nd all-time leader in goals scored and total points (assists and goals); Two-time NSCAA All-America; Finished 4th in 1982 MAC Hermann Trophy (top collegiate soccer player) voting; Played 4 years at Guilford HSl (1975-1978) and won 3 consecutive Class L state championships (1976-1978); Named Parade Magazine All-America and High School Coaches All-America in 1978. 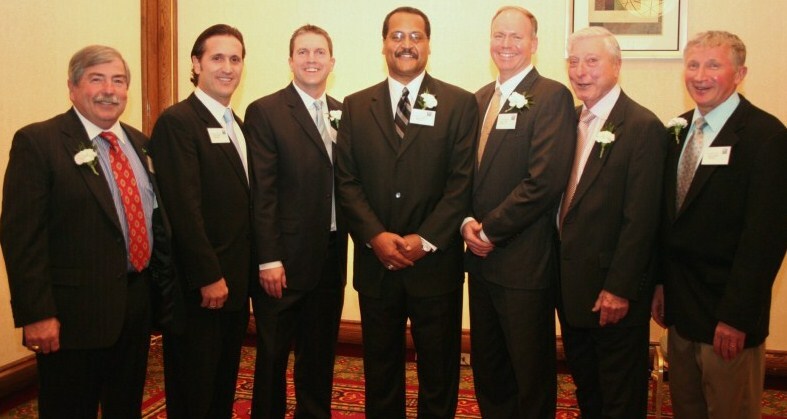 Recorded 342 wins, 120 losses, and 48 ties in twenty-seven seasons as Varsity Boys Soccer Coach at Cromwell High School (1980 – 2006); Won two Class S State Championships (1992 & 1998) and reached another state final (2006), Won 7 Charter Oak Conference titles; President of CT Soccer Coaches Association (1993-2004); Cromwell Athletic Club Hall of Fame Inductee; (2001); Hugh S. Greer Distinguished Service Award (Central Soccer Board) (2006); CT High School Coaches Assoc. 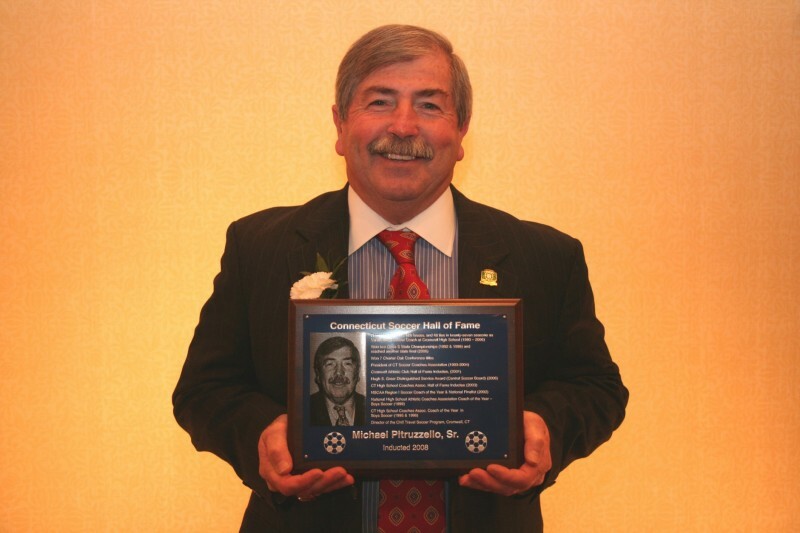 Hall of Fame Inductee (2003); NSCAA Region I Soccer Coach of the Year & National Finalist (2002); National High School Athletic Coaches Association Coach of the Year – Boys Soccer (1999); CT High School Coaches Assoc. 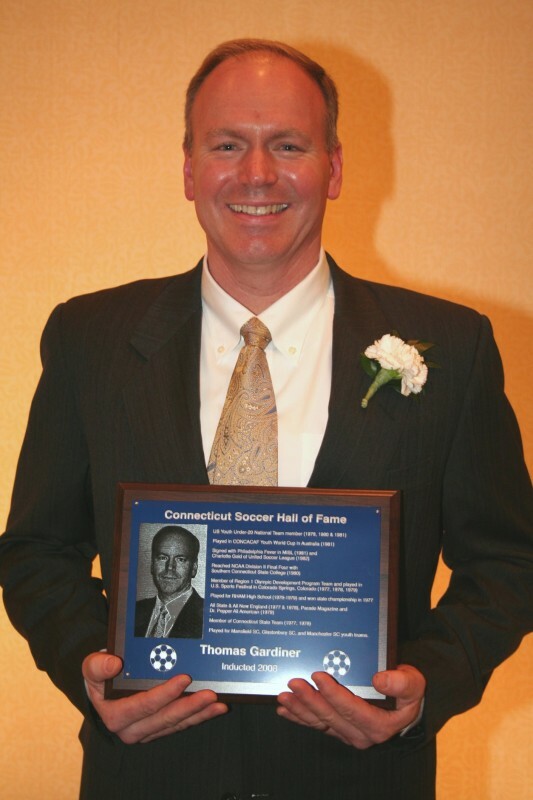 Coach of the Year in Boys Soccer (1996); CT Soccer Coaches Association Coach of the Year in Boys Soccer (1995); Director of the Chill Travel Soccer Program, Cromwell, CT. 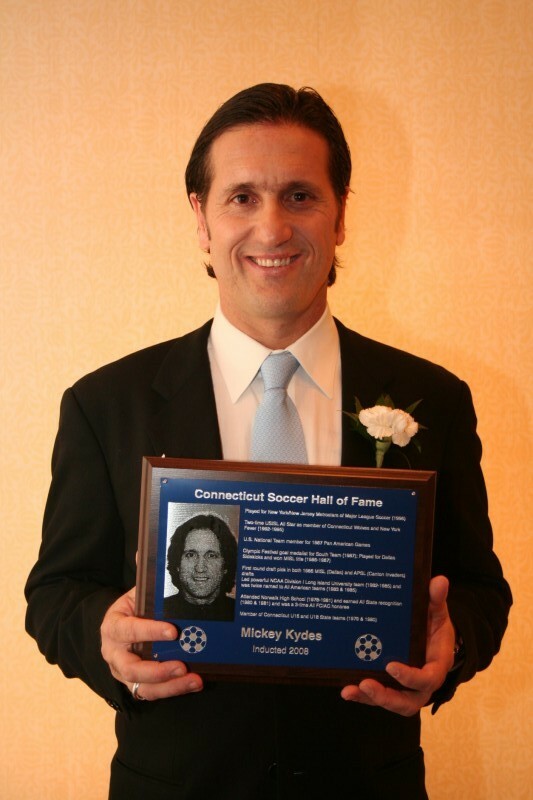 Drafted by the Los Angeles Aztecs of North American Soccer League (1974); Invited to tryout for U.S. Olympic Soccer Team (1972); Played for CT Wildcats (1974) and CT Yankees (1976 & 1977) of American Soccer League; Wesleyan University (1970-1973), led team in scoring 1971 and 1973; All-American and All-New England recognition (1971 & 1973); New England Intercollegiate Soccer League (NEISL) All Star (1970, 1971, 1973); ECAC Championship (1973); Eastern U.S. All Star team member for 1974 Senior Soccer Bowl; Raymond J. Walsh Memorial Soccer Award for leadership and ability (1973); Skull And Serpent Honorary Society for outstanding academics and athletics (1974). 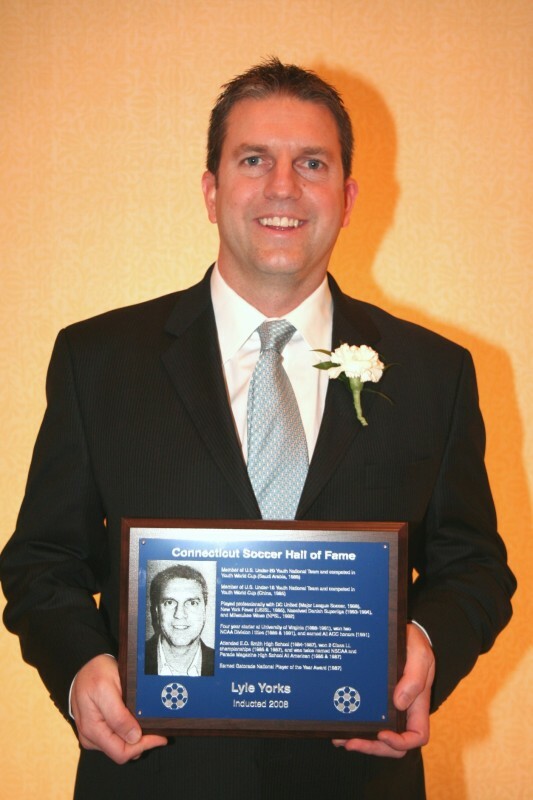 Player with Hartford Bicentennials (NASL, 1976); Drafted third by Connecticut Yankees (ASL, 1975) and captained the team; Named ASL Rookie of the Year and league All Star (1975) and earned team MVP Award, Finished 2nd in ASL scoring with 14 goals and 4 assists in 20 games from midfield position; Attended University of New Haven (1973 & 1974) and named to All New England team both years; Scored 25 goals and added 8 assists in 26 collegiate games; Named UNH Athlete of the Year (1974) and was inducted into the University of New Haven Hall of Fame (1984); Mark T. Sheehan High School Boys Soccer Coach (1987-1996); CJSA Boys Coach of the Year (1993); currently serves as a youth soccer coach with South Central Premier.